London, one of biggest capital cities in the world. A city full of opportunity, creativity and probably the richest cultural melting pot in Europe. London being the hub that it is, it is assumed to be well connected to the outside world. Well, that’s partially true. For anyone currently in the process of moving house in the British capital, it’s still quite important to consider the internet connectivity as part of your housing criteria. 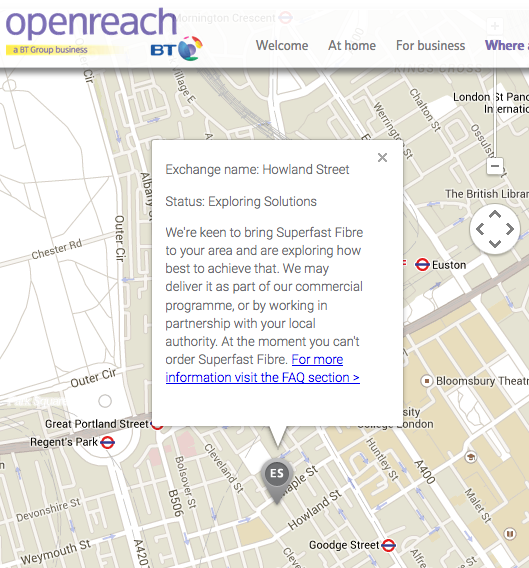 One of the things that always baffles me in this town is how bad the public network is, especially in the city centre. London has an almost non-existent FTTH network and relies mostly on ADSL and VDSL (which is marketed as fibre) to cover most of zone 1. At the base of the iconic BT Tower is one of the most central phone exchanges in London. That exchange probably covers many outrageously expensive homes and companies across Westminster and Camden yet BT’s 76-megabit/s “fibre” Infinity connections aren’t available. 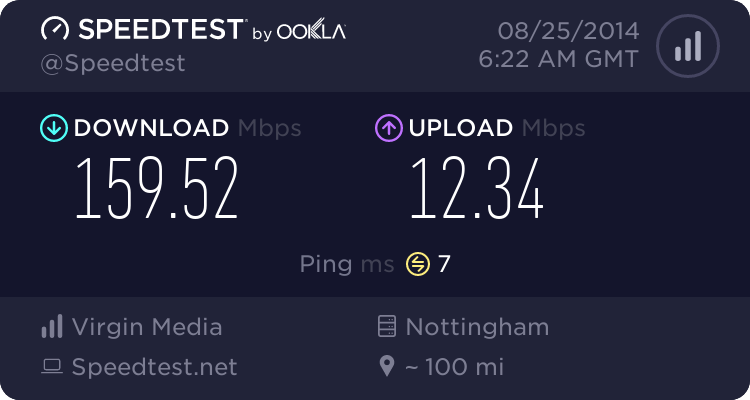 Outside of the centre, it’s usually possible to access an historical coaxial network which is the only media capable of delivering more than 100 megabits per seconds to your home (but only a 12 megabits/s uplink). When you’re not covered by coax or a still-very-niche fibre provider, you’re stuck with less than a 70Mbits/s VDSL or worst, less than 20Mbits/s (like the people depending on the exchange cited above). For those stuck with ADSL, that 20Mbits/s usually becomes 8-12Mbits/s when you live further down the road, leaving you far from what the American FCC defines as “broadband”. With the rapid expansion of super high def dematerialised content, real broadband is becoming more and more necessary for the digital addict in us. I mean, how else are we gonna download the next 2GB iOS update, a 65GB Grand Theft Auto game or binge watch Netflix in 4K (for the lucky ones)? What about you my dear reader? Still running on the good ol’ADSL or downloading roaming the web at 100Mbits/s or more? Leave a comment below or send us a tweet.